For thousands of years, tides flooded a saltwater marsh, or fens, that covered a large part of the area on the bay on which Boston was built. In the pre-Columbian era, Native Americans cut hay in the marshlands and fished on the tidal flats. At first European colonists and settlers took over these practices, but as their population grew, they gradually filled the Back Bay area with earth in order to build on it. Sewers were routed into the nearest body of water so that the tide could carry the waste out to sea, and human waste was increasingly routed into the remaining fens, overwhelming them with sewage and spreading stench throughout the area. By the nineteenth century, the sanitation concern grew to a point of urgency. Following the dominant cultural predisposition to address ecological disturbances through engineering, Boston's city engineer hired Frederick Law Olmsted to design a drainage solution. 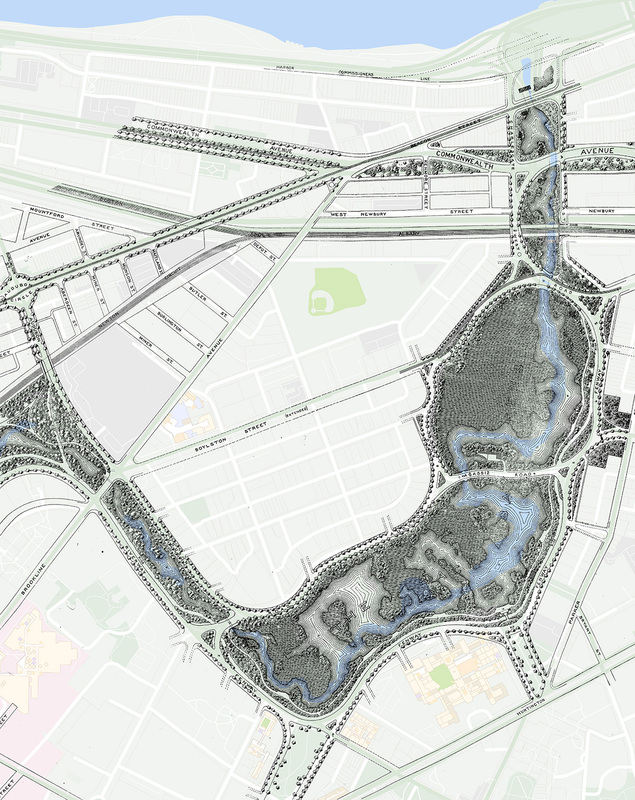 His design for the Back Bay Fens Park attempted to recreate the ecological functions of a marsh, and new sewers running underground took the waste away. 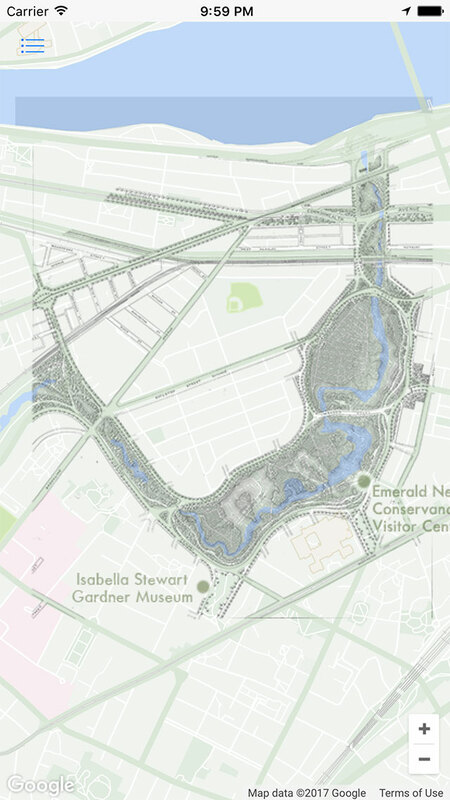 More than a park for the pleasure of pedestrians who might enjoy pastoral views, the Back Bay Fens was intended to restore the healthy flow of water between the Muddy and the Charles Rivers. The subsequent damming of the Charles River in 1910 radically interrupted this tidal ebb and flow, ultimately destroying the marshland ecology that Olmsted had designed. 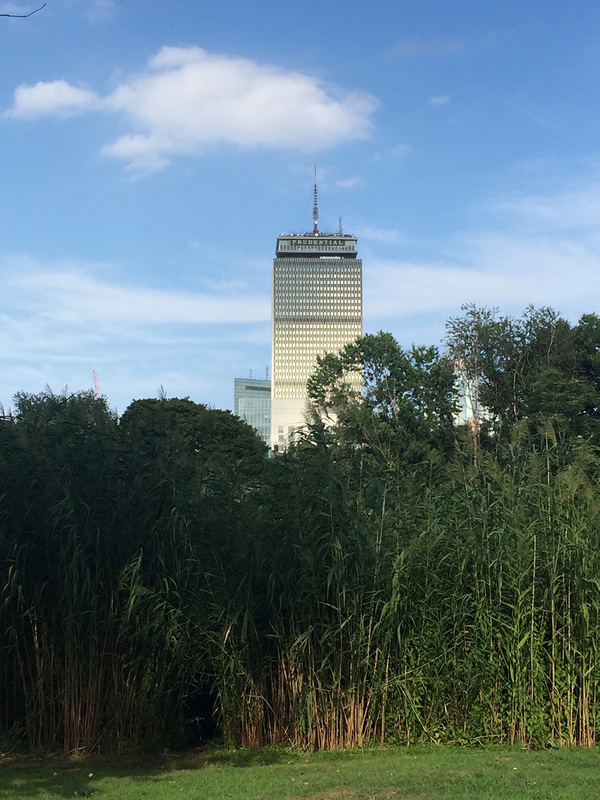 The park, still known as Back Bay Fens, no longer functioned as a fens. Later design interventions, including playing fields, memorials, a rose garden, and community gardens, further re-shaped the physical and social landscape. 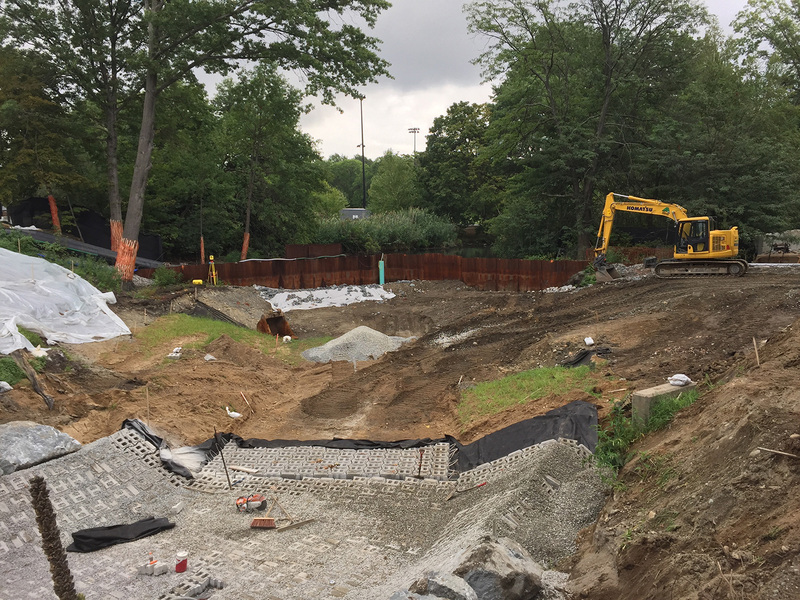 Most recently, the Army Corps of Engineers' Muddy River Restoration Project has sought to improve flood management and to restore elements of Olmsted's original plan, including unearthing and landscaping the section of the Muddy River that for decades had been completely buried in pipes underground to make space for a paved Sears parking lot. 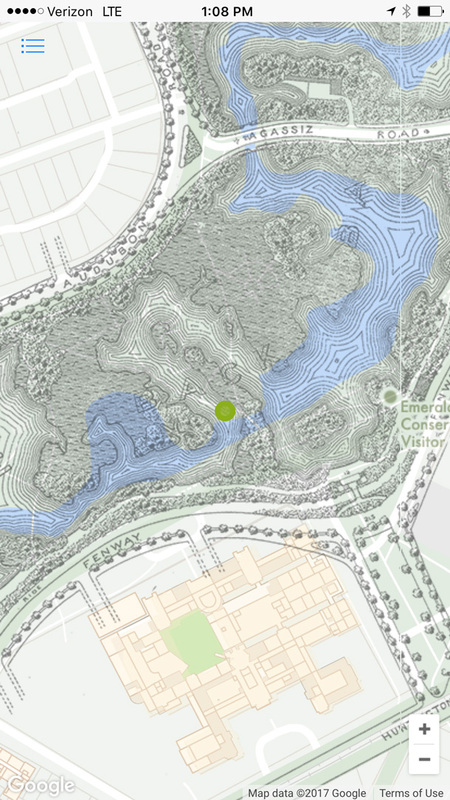 Fens is an emplaced, responsive sound piece that introduces another layer onto the palimpsest that is the Back Bay Fens. Rather than a physical intervention, however, this one is invisible, experienced through engaging in the act of listening while simply being in the park. Made for headphones connected to an Android or iOS device running the freely downloadable app, Fens creates an auditory environment in response to a participant's location as they explore the park. 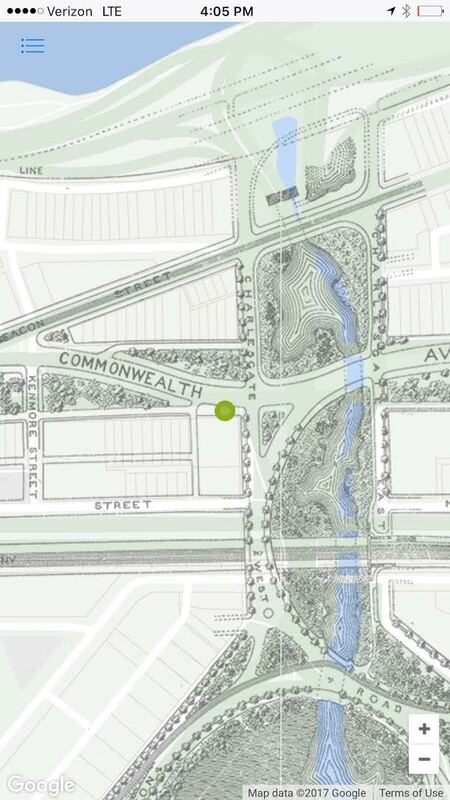 The piece extends throughout the entire area from the Riverway to the west, to Charlesgate to the northeast. 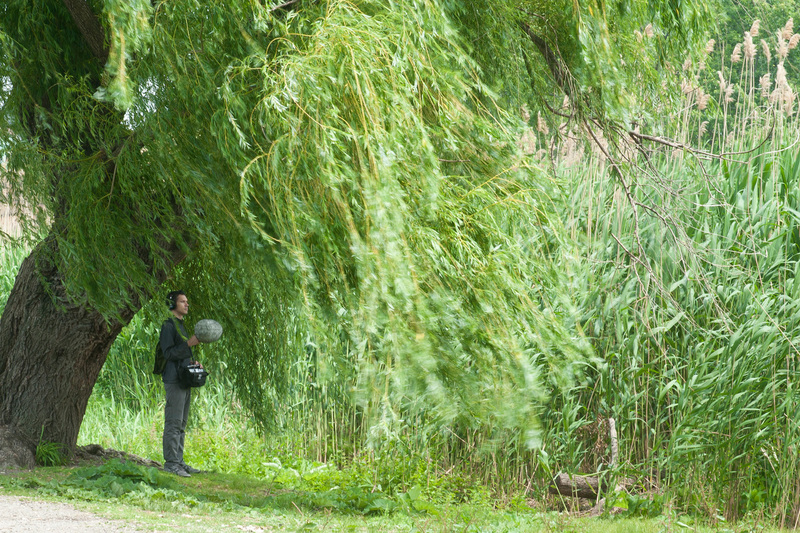 The piece is composed mainly from location recordings made in the Back Bay Fens in different seasons, different weather, at different times of day and night. Inspired by Olmsted's fascination with parks as confluences of natural and social processes, the piece takes up landscape as a site of interaction between human and non-human elements evoked through sound. Formerly present moments are re-enlivened as audio; layers of time become audible and blend with the contemporary moments of each encounter. A variety of sounds from fragments of speech to fragments of birdsong, weather to waterways, foreground to background to underground, evoke the different scales and temporalities of human and non-human processes that shape the landscape. A unique sequence of sounds unfolds with each itinerary as visitors explore the site, following their c uriosity and pursuing cues implied by the features of the environment itself. We would like to thank the curators of Listen Hear, Pieranna Cavalchini and Charles Waldheim, and the many staff members at the Isabella Stewart Gardner Museum who assisted with all aspects of development, especially JoAnn Robinson, Peggy Burchenal, Tiffany York, and Shana McKenna. Voices in the Victory Gardens include Arthur, Betty, Chuck, Craig, Ishmael, Jerry, Jun, Tex and Tony; rap battle by Delilah, Jenée (J-Digsy), Natalia, Samantha (Sizzly Spice), Stephanie, and friends; gospel singing by Michael. And many thanks to all of the park visitors, gardeners and residents we encountered throughout the Fens between 2015-2017.